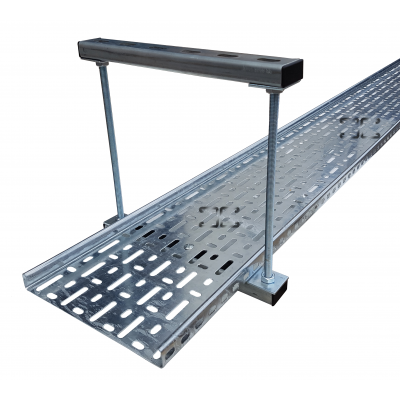 Cable Tray Support using Slotted Channel. This is a secure method of fixing and gives total flexibilty to positioning of upright supports. This method can be used or all cable sizes and especially usefull when covering large spans and cable of supporting heavy loads.